A federal judge has given lawyers for former U.S. House Speaker Dennis Hastert more time to file pre-trial motions in his hush-money case. Attorneys for the Illinois Republican and federal prosecutors filed a joint motion Thursday asking for a two-week extension of Monday's filing deadline. 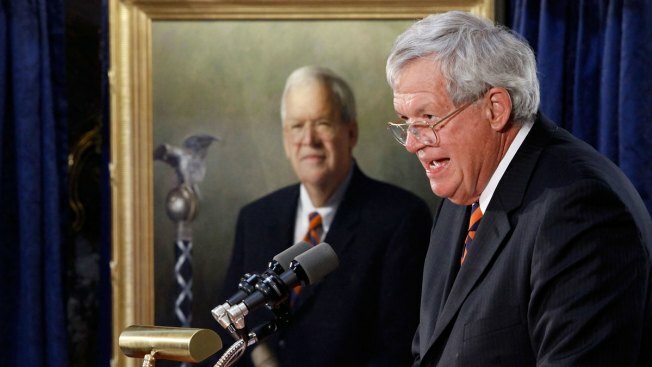 The two sides say they've been discussing issues Hastert's lawyers may raise. They say the extension may give them time to address those issues so the motions won't be necessary. U. S. District Court Judge Thomas Durkin granted the motion Friday without comment. Hastert allegedly agreed to pay $3.5 million to someone identified only as "Individual A" to hide misconduct. The Associated Press and other media, citing anonymous sources, have reported the payments were intended to conceal decades-old claims of sexual misconduct.